When time is short and you need to get cooking, reach for one of our easy appetizer recipes to get the party started. Each of our appetizers is quick to pull together and perfect for any last-minute gathering. Including snack mixes, bruschetta, and creamy dips, our easy appetizers are perfect for your party needs. Popcorn is a classic choice to add to your party menu, so why not try our zesty mix? Chili powder, cumin, cayenne pepper, and other spicy ingredients fill each bite with loads of flavor. Here's a bacon-trimmed take on a best-loved appetizer. Make these deviled eggs extra quick by starting with hard-cooked eggs from the supermarket deli. 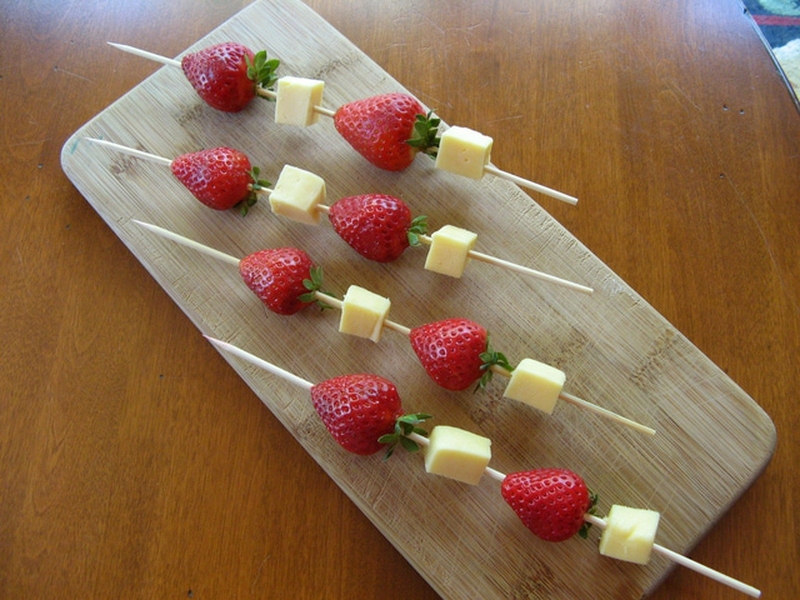 Finishing an easy party appetizer is as simple as one, two, done! Step 1: Mix cream cheese, Gorgonzola cheese, and herbs with an electric mixer. Step 2: Pipe into olives. You're done! Individual-size fruit parfaits are an adorable and easy appetizer for any party buffet. The mild ricotta cheese offers the perfect stage for sweet strawberries to shine. Store-bought phyllo shells instantly transform into petite pastries with an easy do-it-yourself stuffing. Our baklava-inspired mix of nutmeg-spiced walnuts, honey, and crystallized ginger mimics the sticky-sweet Greek favorite. Server responsed at: 04/24/2019 6:42 p.m.